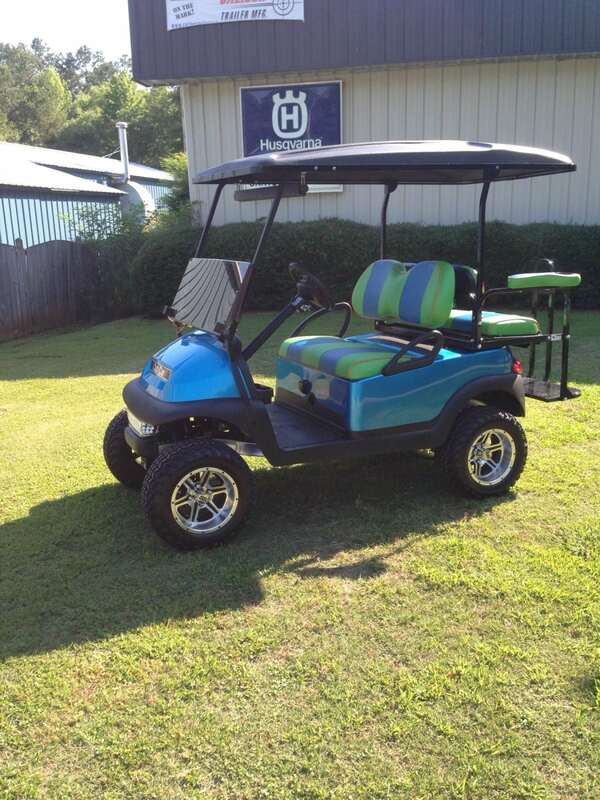 Beaufort golf cart sales – why buy local? Custom Golf Carts Columbia has a friendly, knowledgeable staff and a hassle free environment to provide our customers with an easy, convenient Beaufort golf cart sales buying experience. We are located in Chapin, SC, and are natives of SC. Meaning we know the weather and the best way to take care of your golf cart to ensure it lasts for years to come. We have certified technicians ready to offer you the best golf cart knowledge in town. Live on the coast? Salt air a concern? Don’t worry – Custom Golf Carts Columbia has your back! Browse online at what we have to offer or call us and speak with one of our customer sales representatives. Open the vent caps to check the fill wells; the minimum level for the solution is the top of the plates. If the level is below the plates, then add just enough water (distilled) to cover them. Charge the battery completely, and check the electrolyte level again. For best results, clean all vent caps before replacing them. Be sure they are tightly secured into place. Use only distilled water for golf cart batteries. Throughout their lives, electric vehicle batteries may use up to a full 16 quarts of water. Using non-distilled water results in a buildup of minerals in the batteries that can negatively affect performance and lifespan.